Applied Thermal Technologies is accredited in Heat Treating by the Performance Review Institute (Nadcap™). Applied Thermal Technologies has a Source Certified Agent on hand for heat treating of Honeywell Aerospace product. 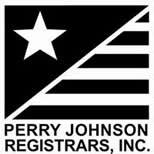 Perry Johnson Registrars, Inc. has assessed the quality management system of Applied Thermal Technologies and declares it is in conformance with ISO 9001:2015 and AS9100D Certificaton.